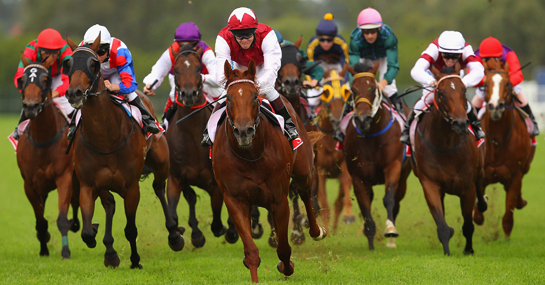 Horse racing tips make your chances of picking out a winner more likely, however if you’re looking to bet on outsiders because of their more favorable odds then you need a slightly different approach to help you pick winners. For a lot of gamblers, horse racing is a serious business and it is important to research and analyze the horses before making a choice. Although the odds on a longshot horse would suggest that you are likely to lose far more often than on a favorite, the rewards when you win are also a lot greater. It is important to be realistic about the amount of times you can expect to win with professional gamblers looking for about a 20% win ratio, so if you’re getting around one winners in five then you doing well. It’s always a lot easier to pick a longshot if you’re actually at the races. Try and get a good look at the horse before the race, often the paddock is a good area to go for this. Look at the horses temperament, how healthy it looks, how settled it is and whether it looks confident. Avoid horses that look nervous or are giving their handlers hard time.